Interesting Facts Pueblo was one of the first promotional patterns to include a hugger cradle rather than the more traditional cradles and candlewarmers. Pueblo debuted on the consumer market in 1974. 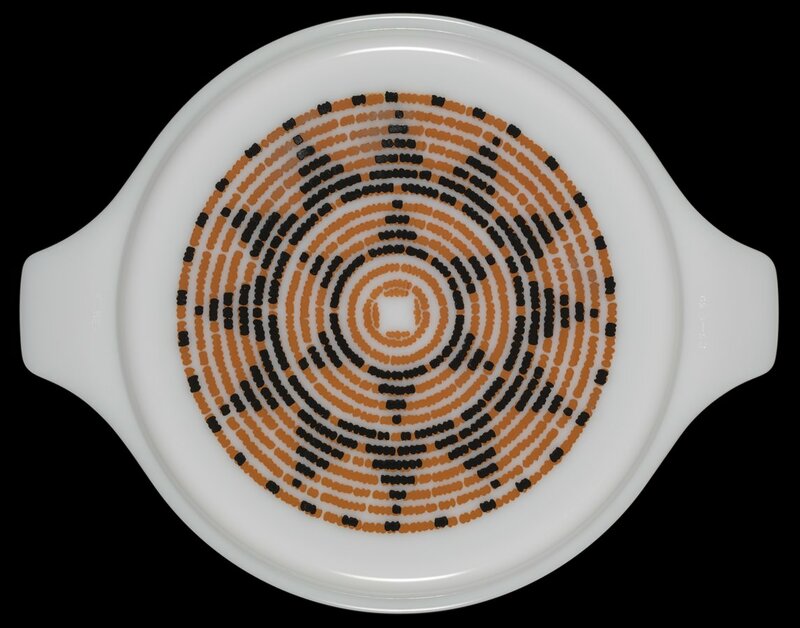 The 2 ½ quart Cinderella Casserole (475) is a solid gray color with a white opal ware lid designed with an orange and black southwestern style basket pattern. The Pueblo casserole came with a black hugger cradle. As the 1970s progressed Pyrex opal ware promotional patterns included small three-legged trivets, under-plates and “hugger cradles” rather than traditional cradles and candle warmers.